The album Sharqi Blues was conceived just prior to the series of domino effects that sparked the revolutions and protests across northern Africa and the Gulf countries over the past 24 months. During this time Jan Wouter Oostenrijk married a beautiful Egyptian girl with whom he soon bore a daughter. 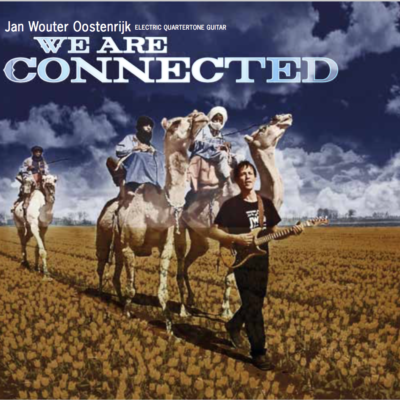 Parallel to both these world-wide political events and developments in his personal life, Jan kept right on running in his own musical direction: the melding of Middle Eastern musical genres with Western jazz, rock, and blues. In Sharqi Blues the personal, the political, and the creative are peas in a pod. The music blends blues with what we in the West call “belly dancing” music, but which in the East is referred to as “raqs sharqi” (literally, “Oriental dance”). 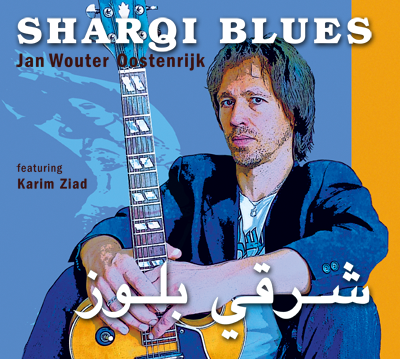 Jan imitates the fast runs of sharqi music on his guitar and mixes it with guitar-led blues to create a personal portrait rooted in his rigorous education in jazz, Western classical, and Arabic music and his solidarity with the ideals and initiatives of the Arab Spring, to which Sharqi Blues is dedicated.